You’ve finished the exhaustive search for a new home and have finally made an offer on the place of your dreams. Now what? Closing on a new home can be a lengthy process, but the steps are necessary to success. Here’s what to expect in the final stages of buying a house. The first step to unlocking the door of your new home? It’s opening an escrow. During escrow – which lasts for approximately one month – your mortgage advisor will make any required payments on your behalf to property bills that are separate from the loan payment. These payments are made out of a designated escrow account and can go toward things like property taxes, HOA fees and insurance costs. If you’ve found a home and are in the process of obtaining a mortgage, it’s highly recommended that you lock in an interest rate. Exactly when you choose to lock in the rate is up to you, but a solid mortgage advisor will be able to guide you in the right direction. Some people choose to do this immediately and others prefer to wait until just before closing in the hopes that rates will fall during that time. The last thing you want is for something to go wrong in your new home just days after moving in. That’s why it’s smart to schedule a home inspection before closing. During an inspection, specialists will check things like the air conditioning system, plumbing and electricity. New homes should be thoroughly evaluated, too; even homes that have recently passed municipal inspections by the builder. It’s always a good idea to get an objective third-party review. Hire a licensed pest inspection company to check for issues with flies, mosquitoes, cockroaches, fleas, rats, mice, bed bugs, termites, ants…pretty much any type of pest! Make sure they evaluate the home for any possible environmental health threats caused by lead, fungus and asbestos, too. Presence of any type of contamination is a subject of renegotiation of terms and possibly even a reason to rethink the deal completely. Did your inspection reveal any problems? It’s time to troubleshoot! You may want to discuss dropping the price or asking the seller to fix the problems that were unearthed. Nevertheless, you’ll want to obtain the estimates for repairing the issues and schedule a time to do so as soon as possible. Title insurance is needed to eliminate the third party ownership on the property that you are buying. A title officer will make sure there are no legitimate claims from relatives, collectors and the like on the home. Your title insurance is legal proof that everything is clear and that you have a green light for closing on – and owning! – your new home. A home appraisal determines the estimated market value of your soon-to-be property, based on factors like general condition, geographic location, proximity to points of interest, value of nearby homes and recent neighborhood sales or growth. Typically, a mortgage lender will need this information to make sure you’re asking for the right amount of money. Occasionally, you’ll run into the issue of a low appraisal. As a buyer, this isn’t necessarily a bad thing. But if you’re a seller who’s already negotiated a certain price, this could present a major financial problem. To help prevent this issue, make sure that the appraiser is from your county, and has a residential appraiser certification and professional designation. First thing’s first – you’ll want to set aside enough time in your day to finish the closing. An hour or two may not be enough time if unexpected issues arise. We recommend allocating at least a half-day’s time for the home closing. Schedule it toward the end of the month, but not on the last day – aim for a day between the 20th and 25th. That way, you’ll still have some padded time should there be any disputes. If you schedule a closing and don’t complete it by that day, you could face increased closing costs for the next month in addition to penalty payments. Don’t miss your chance for a final look at your home before paying for it! Most final walk-throughs are scheduled 24 hours before closing. Make sure the home is in the condition that’s specified on your final sales contract. Confirm that any necessary changes were made post-inspection. Check if everything is in order and that any additional necessary replacements were made. If you do run into an issue, you’ll want to shift the closing day. Or, upon mutual agreement, the repair costs will be submitted to the escrow account. You’ve completed the escrow marathon and it’s officially time to sign the paperwork and get your keys! Prepare in advance all paperwork you collected during the process, such as title search and insurance, inspection reports, bank statements, home appraisal reports, checks for down payment closing costs, etc. There’s likely to be quite a few people present for closing, including your attorney, a seller (or their representative), the seller’s attorney, real estate agents (for both parties), a lender’s representative, a title company employee, the closing agent and even a public notary. You’ll be signing a string of documents – do not sign anything at this point that is unfamiliar to you. By now, if you’re working with a competent buying team, you should have seen and read all of the closing documents in advance. Make sure that you understand what you are signing and how your payments will be distributed over the designated time. Are you you in the process of selling your house and looking for a new home? Let RedStone Mortgage assist you in finding loan options that meet your individual needs. Call us at 480-759-1500. Even if you have an impeccable sense of financial responsibility right now, your credit past can haunt you. You could have a hard time getting a home loan if your past record shows problems with payments, or if there’s an error in your credit report. If you disregard housing marketing trends when hunting for a house for sale, you might end up signing for a deal that favors the seller. If you have already started talking to sellers before having a hard talk with home loan lenders, you are making a mistake. In fact, not many sellers will want to work with you if you promise them a certain amount and then can’t fulfill that promise. Another huge mistake you can make when buying a house is not considering the fact that you may need to resell the house you intend to buy. There are lots of unexpected changes that can occur, such as job transfers, financial problems, or falling in love with another bigger or prettier house. When this happens, you might find the need to sell your house, obviously at a profit. You should never overlook the resale value of the home you intend to purchase. What you need to do is to ask yourself several questions such as: Will it be easy to sell this house? Will buyers be interested in buying it? Will this house fetch me a good amount if I decide to buy another one? Is it situated in a preferred neighborhood? Etc. There are pros and cons to dealing with real estate agents. A real estate agent can take a huge burden off your shoulders when it comes to looking for the right house, but there’s a danger in trusting a realtor too much. An unprepared realtor can cost you money and set the deal back. Also, if you talk to the seller’s agent, he will be representing the seller and he may not be truthful about the negative aspects of the house. If you trust this kind of realtor blindly, you may have regrets later on. Make sure your realtor is prepared and well versed. Double crosses are bound to happen when agreements are made verbally. It would be difficult for you to prove in court that a promise was made or a handshake was made. Therefore, it’s best that you and the seller get everything down in writing to avoid future miscommunications. This way, you will have something to present in court should the seller fail to keep their word. This is another common mistake that many first-time homebuyers often make. If you neglect to prepare for hidden fees, you might be in for a big surprise. Closing costs are a good example of hidden fees, which usually include a number of fees that cover final housekeeping matters. Before signing the homebuyer’s agreement, it would be wise on your part to determine what hidden fees are there. You will be making a costly mistake if you rely on the seller or real estate agent to inform you about the house problems you should expect. Before you make any payment towards the purchase of the house, it’s imperative that you first hire a professional home inspector to ascertain that the house is in good condition. Not everyone or everything that you fall in love with at first sight ends up being your one true love. A house may appear to be everything you ever dreamed of, but it might not live up to your expectations. Before following a dream-house blindly, be sure to check it out thoroughly. Make sure it presents you with all the right qualities that make it a perfect home for you and your loved ones. As much as it is unwise to rush into making a purchase, it is equally imprudent to take too long without making up your mind. If you take too long to make a decision, another home buyer will take advantage of your indecisiveness and buy your dream house. Now that many services are obtainable at the click of the mouse, most people have become too dependent on them. It’s true that loans can be obtained online and houses can be bought online as well. But failure to establish personal touch with lenders or home sellers could present a huge and costly misunderstanding in future. Just like a car, a home requires money to maintain. The pain of parting with your hard-earned cash will not end on the day you finish your last mortgage payment. You have to brace yourself for other costs for maintaining a safe, secure, and environmentally friendly home. You have to also be ready to meet certain costs such as association fees, insurance, taxes, utilities, maintenance and major/minor repairs, etc. While it’s a smart thing to compare different houses before buying, you might end up biting off a lot more than you can chew. This is especially true if you meet up with sellers and make offers or promises that you don’t intend to honor. Before entering into any agreement with a seller or a realtor, it’s imperative you ensure that you are ready to honor your end of the deal. 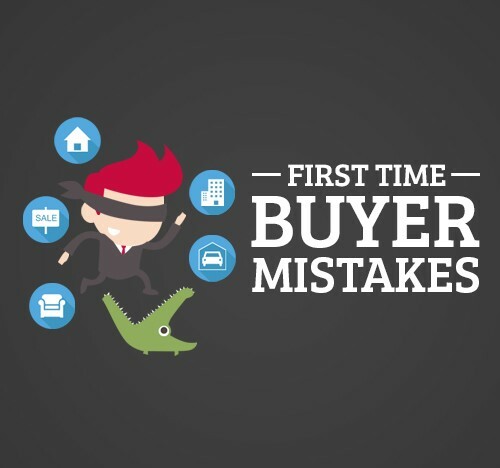 If you can avoid the above mentioned mistakes that are commonly made by first-time buyers, you will be more like a pro homebuyer instead of a rookie. Avoiding these mistakes can help you make the right choices when it comes to finding a home you and your family can take pride in. Keeping in mind the resale value will also help you avoid problems moving on in the future. 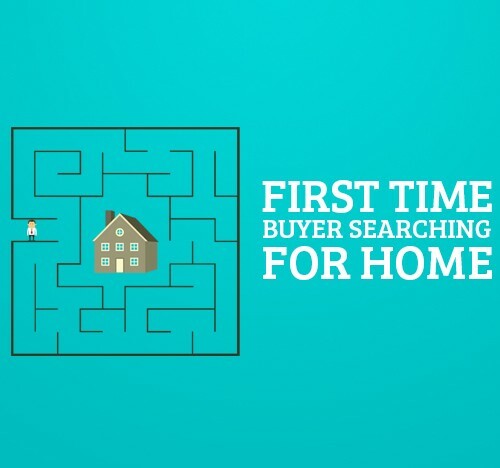 For most people, the prospect of going to view homes they fancy is thrilling and it’s tempting to think that that is the very first step to buying a home. But, it is not. Once you’ve decided on your criteria, call your Realtor. Let him or her know what you’re looking for and what your price range is. He or she will get to work on your behalf, shortlisting the properties that meet your criteria so you can start your viewing from there. Then comes the fun part – finding that perfect home you’ve been dreaming of! Always schedule enough time to do a proper inspection. It’s possible you’ll be living there for years to come, so five minutes strolling around isn’t going to cut it. Schedule about two hours to view your potential house. Research suggests that when buyers spend a longer time viewing a home, they are more likely to pay below the asking price. Be thorough when checking out the home. Open drawers, cabinets and cupboards, look behind furniture, lift up rugs if necessary. While this may seem rude, it is not. You are about to make a substantial investment and you need to know exactly what you’re getting. Confirm what comes with home. For example, whether the garden is for the exclusive use of that apartment or not. Make sure to get confirmation in writing if you do decide that you would like to buy the property. When viewing, don’t just consider a property on its own – view it in the context of its location. Very importantly, don’t just go viewing on your own. Let your Realtor do their job. If you happen to come across a property that interests you, but your Realtor hasn’t told you about it, chances are it does not match your criteria. If you like the look of it however, call your Realtor with the address and phone number on the board. That way, they can arrange a proper viewing for you without the owner being present. When viewing a home, there are some very important things to look out for, the primary one being the condition of the property. Walk around checking the walls and ceilings for big cracks – hairline cracks are to be expected in some places. Make sure you check the exterior for cracks, as well. Cracks could be a sign that the property is not structurally sound. Points at which extensions join are good places to look, as cracks often occur there. Any signs of a problem anywhere on the structure of the property should be queried – what caused it? You should also have a survey done – not to be confused with a mortgage valuation – as this will uncover hidden issues with the house. Check the fuse box; it shouldn’t be old or outdated, must be easily accessible, and in good working condition. Ensure wiring was done properly. You don’t want to spend a fortune rewiring the home to bring it up to a standard. Consider if there are enough power points and if they are in good condition. Also check the attic for water problems – look for water damage or leaks that may have affected the insulation, walls and ceiling of the attic. And while you’re at it, make sure that the insulation is adequate for where the property is located. In the basement, look for evidence of moisture problems in the home – is there water leaking onto the floor or water around the foundation? There should be no cracks in the basement walls and any wood such as those in exposed beams should be in good condition with no rot. Check that the plumbing is up to date. Run taps to ensure they work properly and the water pressure is strong enough. Exposed pipes in unheated areas should be insulated, as frozen pipes will eventually cause water damage. It is particularly important from a health perspective to ascertain that the pipes are not lead. If they are, you will need to replace them. Also, find out where the hot water tank is located. If it is on the roof you may need to replace it, as it is probably an old tank. You can get all of this information through your agent if you’re using one, since most agents subscribe to services that give them access to such data. If you are not using an agent, then you can obtain this information through a local title company or you can order them online for a small fee. However good it may be, there will be one or two things you wish you could change – if only it was facing that lovely park you saw on the way there, or if only the house you prefer was in that other neighborhood, or if only this cost a little bit less. Lower your expectations on the condition of the home. If your inspection revealed a few small problems, you could still buy the property and do the repairs yourself. Use the problems as a bargaining chip to get a reduced price from the seller. If you go this route, please get a quote from a professional for the cost of repairs. Don’t estimate based on your own judgment and don’t let the seller decide how much he thinks it will cost. Also, do not let the seller get the quote, as he will likely get a quote that is favorable to him. Be prepared to walk away. Again, this goes to our earlier point about not getting emotionally attached until you have bought and moved in. If at the end of the day you find out the compromise required is more than one you’re prepared to make, walk away. Working with your Realtor, you will soon find something else that you love.